Moorish Ambassador of the Barbary States to the Court of Queen Elizabeth I of England. The Moors were the medieval Muslim inhabitants of al-Andalus (the Iberian Peninsula including present day Spain and Portugal) as well as the Maghreb and western Africa, whose culture is often called Moorish. The word was also used more generally in Europe to refer to anyone of Arab or African descent, sometimes called Blackamoors. The name Moors derives from the ancient tribe of the Maure and their kingdom Mauretania. Andalusia under Muslim rule produced a society in which culture and science and learning flourished. Muslims, Jews and Christian co-existed in a spirit of mutual tolerance. Much scholarship from this period impacted on European learning, especially via such people as Roger Bacon and Thomas Aquinas. The Fall of Granada in 1492 saw the end of the Muslim presence in Andalusia. This event has had a global impact, giving impetus to the Spanish conquest of the New World inspired by their triumph over the Muslims, which they understood as enjoying God's blessing. What has been described as the Andalusian paradigm suggests that conflict and rivalry is not inevitable for plural societies, that people of different faiths can co-existence and enjoy creative intellectual and cultural exchange. In 711 C.E., the Moors invaded Visigoth, Christian Hispania. Under their leader, an African Berber general named Tariq ibn-Ziyad, they brought most of the Iberian Peninsula under Islamic rule in an eight-year campaign. They attempted to move northeast across the Pyrenees Mountains but were defeated by the Frank, Charles Martel, at the Battle of Tours in 732 C.E. The Moorish state suffered civil conflict around 750 C.E. The Moors ruled in the Iberian peninsula, except for areas in the northwest (such as Asturias, where they were stopped at the battle of Covadonga) and the largely Basque regions in the Pyrenees, and in North Africa for several decades. Though the number of "Moors" remained small, they gained large numbers of converts. The Moor’s invasion of Spain, from the point of view of Christians in Europe, was always regarded as an act of aggression. Indeed, it was part of the outward expansion of the Islamic world that was informed by the conviction that the whole world should be subject to Islamic rule and to the divine law of Islam. However, the actual story of the invasion is more complex. The Visigoth King, Roderic had raped the daughter of one of his Counts, Julian who, in secret, approached the Moors and pledged support in the event of an invasion. Jewish advisers also accompanied the invading force. There is also evidence that some territory was gained peacefully through treaties that enlisted the "cooperation of local administrators and inhabitants." Constable (1997) reproduces a "Muslim-Christian Treaty" of 713 in which the ruler of Tudmir and his people are promised protection and religious freedom in return for an annual tribute and loyalty to the Sultan. The Umayyad’s sultanate (756 - 929C.E.) and later caliphate of Cordoba (929 - 1031C.E.) in Andalusia (modern Spain) rivaled the Abbasids at a time when the Fatimids also challenged their supremacy, and provides an example of an Islamic society where scholarship (which was already patronized by the early Damascus based Umayyads) and inter-community exchange flourished. Christian states based in the north and west slowly extended their power over the rest of Iberia. The Kingdom of Asturias, Navarre, Galicia, León, Portugal, Aragón, Catalonia or Marca Hispanica, and Castile started a steady process of expansion and internal consolidation during the next several centuries under the flag of Reconquista. The initial rule of the Moors in the Iberian peninsula under the Caliphate of Cordoba is generally regarded as tolerant in its acceptance of Christians, Muslims and Jews living in the same territories, though Jews were expelled in various periods and Christians relegated to 2nd class status under Muslims. The Caliphate of Córdoba collapsed in 1031 and the Islamic territory in Iberia came to be ruled by North African Moors of the Almoravid Dynasty. This second stage started an era of Moors rulers guided by orthodox Islam leaving behind the more tolerant practices of the past. It was during this period that the great Jewish scholar Moses Maimonides was forced to leave Andalusia, although he found refuge in another part of the Muslim world. Even in the intolerant Almohads (who seized power in 1145C.E.) threatened Jews with death or expulsion if they did not convert but later entered into alliances with Christian rulers and even encouraged Christian to settle in Fez. With the fall of the Ummayad caliphate, the period of small city-states, or taifa, began. Moorish Iberia excelled in city planning; the sophistication of their cities was astonishing. According to one historian, Cordova "had 471 mosques and 300 public baths … the number of houses of the great and noble were 63,000 and 200,077 of the common people. There were … upwards of 80,000 shops. Water from the mountain was distributed through every corner and quarter of the city by means of leaden pipes into basins of different shapes, made of the purest gold, the finest silver, or plated brass as well into vast lakes, curios tanks, amazing reservoirs and fountains of Grecian marble." The houses of Cordova were air conditioned in the summer by "ingeniously arranged draughts of fresh air drawn from the garden over beds of flowers, chosen for their perfume, warmed in winter by hot air conveyed through pipes bedded in the walls." This list of impressive works includes lamp posts that lit their streets at night to grand palaces, such as the one called Azzahra with its 15,000 doors. Without a doubt, during the height of the Caliphate of Córdoba, the city of Córdoba proper was one of the major capitals in Europe and probably the most cosmopolitan city of its time. In 1212 C.E., a coalition of Christian kings under the leadership of Alfonso VIII of Castile drove the Muslims from Central Iberia. However, the Moorish Kingdom of Granada thrived for three more centuries in the southern Iberian peninsula. This kingdom is known in modern time for architectural gems such as the Alhambra. On January 2, 1492, the leader of the last Muslim stronghold in Granada surrendered to armies of a recently united Christian Spain (after the marriage of Ferdinand II of Aragon and Isabella I of Castile). The remaining Muslims were forced to leave Iberia or convert to Christianity. In 1480, Isabella and Ferdinand instituted the Inquisition in Spain, as one of many changes to the role of the church instituted by the monarchs. The Inquisition was aimed mostly at Jews and Muslims who had overtly converted to Christianity but were thought to be practicing their faiths secretly—known respectively as morranos and moriscos—as well as at heretics who rejected Roman Catholic orthodoxy, including alumbras who practiced a kind of mysticism or spiritualism. They were an important portion of the peasants in some territories, like Aragon, Valencia or Andalusia, until their systematic expulsion in the years from 1609 to 1614. Henri Lapeyre has estimated that this affected 300,000 out of a total of 8 million inhabitants of the peninsula at the time. In the meantime, the tide of Islam had rolled not just westward to Iberia, but also eastward, through India, the Malayan peninsula, and Indonesia up to Mindanao-—one of the major islands of an archipelago which the Spanish had reached during their voyages westward from the New World. By 1521, the ships of Magellan had themselves reached that island archipelago, which they named the Philippines, after Philip II of Spain. On Mindanao, the Spanish also named these kris-bearing people as Moros, or 'Moors'. This identification of Islamic people as Moros persists in the modern Spanish language spoken in Spain. Córdoba’s library was one of the largest in Europe, possessing some four hundred thousand volumes. The catalogues alone are said to have consisted of 44 volumes. The Libraries and Academies of Cordoba and Toledo would attract scholars from Europe as well as from elsewhere in the Muslim world. Works of philosophy, science, medicine were translated into Latin, some of which were Arabic versions of Greek works but many were written by Muslim scholars. What developed in Andalusia has been described as convivencia ( fruitful coexistence) although in the earliest period, some Christians adopted a very negative opinion of Islam. During the early Moorish period in Spain a group of Christians, looking at their Bibles, came to the conclusion that Muhammad was the beast of Revelation 13 (they thought he had been born in the year 666) and the Little Horn of Daniel 7: 8. From this they calculated that Islam would flourish for three and a half periods of 70 years each, that is, for 245 years then the Day of Judgement would dawn. Bishop Eulogius of Toledo (d. 859) and his friend, Alvarus, encouraged some 48 Christians (between 850 and 859) to publicly insult Muhammad and Islam so that they attracted the death sentence and were martyred (known as the martyrs of Cordova). They stood outside Mosques or attended Islamic courts and shouted out statements that they knew were offensive to Muslims, such as that Muhammad was an imposter, a false prophet who had composed the Qur’an and was a lecher who lusted after women. Much of this is gleaned from a brief Life of Muhammad, the Istoria de Mahomet, known to be in circulation in Spain at the time They believed that their voluntary martyrdom would hasten the coming of the End. While the Muslim conquest of much of Spain and memory of the Battle of Tours (732) infuriated Christians in Europe, fueling animosity towards the Saracen as the Godless enemy, relations between Christians and Muslim in Andalusia became increasingly cordial. Some inter-marriage occurred, as between Alfonso IV of Castille (1065-1109) and Princess Zaida, ‘whose father was the most powerful among the rulers of the taifa states’, the remaining Muslim territories in Spain  Christian scholars visiting Spain from France and from England eagerly translated Arabic versions of Greek classics as well as the works of Muslim philosophers into Latin, so that Muslims such as Ibn Rushd and Ibn Sina not only acquired Latin names (Averroes) and (Avicenna) but would be cited by such eminent Christian thinkers as Aquinas (1225-1274) with respect. Scholasticism in Europe is generally said to have been heavily influenced by Muslim philosophy, so much so that one of the main schools was known as Averroism. It drew heavily on Averroes’ commentaries on Aristotle. Thomas Aquinas explored the same issues as had the Muslim philosophers and, open to hearing God’s voice through a variety of sources, saw himself and Muslims as occupying the same intellectual world of rational discourse. Muslims, he believed, could be won for Christ through reasoned argument, even with love. Such men as Peter the Venerable (1092-1156), Ramon Lull (1234-1316) and Roger Bacon (1220-1292) all believed that ‘reason’ not force was the correct modus operandi for Christians in relationship with Islam. Such legends as the Story of Roland and El Cid’s chronicle still depicted Muslims as idolaters but more accurate information was now becoming available . Andalusia produced, among others, Ibn Rushd, Ibn Hazm and Ibn Tufail while Ibn Khaldun worked for sometime for the Sultan of Granada. Links were especially strong between the Academies of Andalusia and the University of Paris. Peter the Venerable commissioned the first Latin rendition of the Qur’an, which, completed in 1143 has been described as ‘a landmark … for the first time’, Europeans had ‘an instrument for the serious study of Islam’ . It remained the standard rendering until the sixteenth century. The translator was an Englishman, Robert of Ketton (1110-1160) who had traveled in Palestine and appears to have settled in Spain in order to work as a translator. He was also an Archdeacon. Ketton’s Qur’an was glossed with hostile footnotes  but it at least gave Christians access to the complete scripture, rather than to selected sections. Lull, Bacon and others called for Arabic chairs at Paris and Oxford. Lull’s own conviction that Muslims should be reasoned with did not preclude him from using some harsh language when addressing Muslims. A tertiary Franciscan, Lull was twice deported from Tunisia. 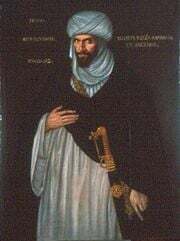 On a third visit to the Muslim world he ended up defending the Trinity by publicly abusing Islam, ‘the law of the Christians is holy and true’, he said, ‘and the sect of the Moors is false and wrong’ . Stoned by the crowd, he died on shipboard before reaching his native Majorca. Yet the method he bequeathed, ars inveniendi veritatis, the art of finding the truth, was diaological not confrontational and greatly influenced missionary thought. The Crusaders, contemporary with Lull, did not consider evangelism, the attempt to win the hearts of Muslims, as even worth trying, since Muslims were culpable and their death glorified Christ. The essence of crusading was ‘to slay for God’s love’. Muslims, said one Christian, were not worth disputing with but ‘were to be extirpated by fire and the sword’  Lull suggested that instead of conquering the Holy Land by force, Christians ought to do so ‘by love and prayer and the pouring out of tears and blood’ . Some Muslims regard the Islam of Andalusia to have been too influenced by European ideas to qualify as an authentic version of Islam that Muslims elsewhere and at different times might choose to emulate. Sayyid Qutb, for example, a highly regarded twentieth century Muslim scholar regarded the thought of such philosophers as Ibn Rushd and Ibn Farabi among others as ‘in essence foreign to the spirit of Islam’ . Others look to the Andalusian paradigm as a model for all Muslims who find themselves living in plural societies. Akbar S. Ahmed describes the Andalusian paradigm as the ‘ideal model of European society’. ‘If we define’, he says, ‘a civilized society as one which encourages religious and ethnic tolerance, free debate, libraries and colleges, public baths and parks, poetry and architecture, then Muslim Spain is a good example’ . On the one hand, because they were not a majority, the polity of tolerance may have been pragmatic. On the other hand, there are no few examples in history of minorities ruling over majority populations without any sign of tolerating or of valuing the cultures or the religions of the populace. It is therefore likely that these Muslims had a worldview in which tolerance had a place. The Roman Term "Maur" described the native inhabitants of North Africa west of modern Tunisia. Ancient to modern authors, as well as portraits, show them with a variety of features, just as the modern population contains. This was contrasted with other peoples described as "Aethiopes," or Ethiopians, who lived further south, and Egyptians, or "Aegyptus." As described above, they composed a variety of peoples in this region who probably had origins in the Sahara when it desiccated in the late Holocene period. Whether they were light skinned and blond hair, dark skinned, or somewhere in between, Dr. Keita has noted that this diversity was indigenous to the North African region, and not the result of foreign settlement (Phoenicians, Greeks, Romans, Arabs). Tariq ibn-Ziyad, born of a Berber chief, rose to the rank of general in the Moorish army and led an invasion to Iberia. On April 30, 711, Tarik and his forces landed on the Mediterranean coast of the peninsula with 7,000 troops. He immediately ordered the burning of the boats. This was done to assure his troops that there would either be victory or death. Saint Isidore of Seville, who was born in 560 C.E. and died in April 636 C.E., wrote that Maurus means "black" in Greek. In the late 1400s, the Italian Roberto di San Severino in his writings clearly distinguishes between Moors and Arabs. In describing his journey to Mount Sinai, san Severino writes on the observance of the Muslim month of Ramadan, stating "Their 'Ramatana' lasts a month, and every day they fast. They neither eat nor drink until the evening, that is until the hour of the stars; and this custom is followed by the Moors as well as the Arabs." In the eighteenth century English usage of the term "Moor" began to refer specifically to African Muslims, but especially to any person who speaks one of the Hassaniya dialects. This language, in its purest form, draws heavily from the original Yemeni Arabic spoken by the Bani Hassan tribe, which invaded northwest Africa during the sixteenth and seventeenth centuries. In Spanish usage, "Moro" (Moor) came to have an even broader usage, to mean "Muslims" in general (just as "Rumi," "from the Eastern Roman Empire," came to mean "Christian" in many Arabic dialects); thus the Moros of Mindanao in the Spanish-speaking Philippines, and the Moriscos of Granada. Moro is also used to describe all things dark as in "Moor," "moreno" and it has led to many European surnames such as "Moore," "De Muaro," and so on. The Milanese Duke Ludovico Il Moro was so-called because of his swarthy complexion. Until the early twentieth century "Moor" was often used by Western geographers to refer to "mixed" Arab-Berber North Africans, especially of the towns, as distinct from supposedly more pure-blooded Arabs and Berbers; thus the 1911 Encyclopædia Britannica defines "Moor" as "the name which, as at present used, is loosely applied to any native of Morocco, but in its stricter sense only to the townsmen of mixed descent. In this sense it is also used of the Muslim townsmen in the other Barbary states." But even then, it recognized that "the term Moors has no real ethnological value." Dr. Shomarka Keita, a biological anthropologist from Howard University, has suggested that populations in Carthage circa 200 B.C.E. and northern Algeria 1500 B.C.E. were very diverse. As a group, they plotted closest to the populations of Northern Egypt and intermediate to Northern Europeans and tropical Africans. Keita stated “The data supported the comments from ancient authors observed by classicists: everything from “fair-skinned blonds to peoples who were dark skinned ‘Ethiopian’ or part Ethiopian in appearance.” Modern evidence showed a similar diversity among present North Africans, suggesting that migrations did not affect this area. Moreover, this “diversity” of phenotypes and peoples was probably due to “in situ” differentiation, not foreign influxes. Four peoples of the world: a Libyan, a Nubian, a Canaanite, and an Egyptian. A modern artistic rendering, based on a mural from the tomb of Seti I. In portraits that go back to the Old Kingdom, the Egyptians often portrayed their surrounding cultures: Nubians, Libyans and Asiatics. The Libyans were shown with light hair and fair skin. When the Arabs arrived in North Africa during the seventh century C.E., ending the Greco-Roman period, they also used various terms to describe the Berbers of this region. However, it was the area south of Egypt and the Berber-populations that was called “Bilad-al-Sudan” or “land of the blacks,” not the coastal regions. There are also many pictures to be found of Berbers and Moors of obvious sub-Saharan African descent. Estevanico, also referred to as "Stephen the Moor," explorer of what is now the southwest (Arizona and New Mexico) of the United States, in the service of Spain. Gildo was a Moorish chieftain who instigated a rebellion against the Roman Empire in 398. Lusius Quietus was a Roman general and governor of Iudaea in 117 C.E. Originally a Moorish prince, his military ability won him the favor of Emperor Trajan, who even designated him as his successor. During the emperor's Parthian campaign, the numerous Jewish inhabitants of Babylonia revolted and were relentlessly suppressed by Quietus, who was rewarded by being appointed governor of Judea. Restlessness in Palestine caused Trajan to send his favorite, as a legate of consular rank, to Judea, where he continued his sanguinary course. Saint Maurice, the Knight of the Holy Lance, is regarded as the greatest patron saint of the Holy Roman Empire. Rumored to be a Roman commander of Egyptian descent, Maurice is said to have gained sainthood after refusing to have his legion massacre a Christian uprising. Honored as early as 460, Saint Maurice has had numerous artworks and structures—even a castle—dedicated to him. The existence of nearly three hundred major images of St. Maurice have been catalogued, and even today his veneration is seen within numerous cathedrals in eastern Germany. Alessandro de' Medici (July 22, 1510 – January 6, 1537), called "il Moro" ("the Moor") by his contemporaries, was the Duke of Penne and also Duke of Florence (from 1532) and ruler of Florence from 1530 until 1537). Though illegitimate, he was the last of the "senior" branch of the Medici to rule Florence, Italy and the first to be hereditary duke. Historians (such as Christopher Hibbert) believe he had been born to a black serving-woman in the Medici household, identified in documents as Simonetta da Collavechio. The nickname is said to derive from his features  that depict his full lips and coppery skin - he still has descendants (via his own illegitimate children) among many European royal and noble famillies. In a famous episode of the sitcom Seinfeld, George Costanza engages in a heated argument with a bubble boy over a misspelled Trivial Pursuit answer, which claims that it was the "Moops" who invaded Iberia in 711 . The title character in William Shakespeare's play Othello is a Moor. The character Aaron the Moor in Titus Andronicus is also a Moor. A popular Cuban dish, consisting of white rice and black beans, is named (somewhat facetiously) "Cristianitos y Moros;" the rice representing the fair-skinned Christians, and the beans, the darker-skinned Moors. Azeem, Morgan Freeman's character in Robin Hood: Prince of Thieves (1991), was a Moor. ↑ Kenneth B. Wolf, (translator), “A Christian Account of the Life of Muhammad” 48-50. Medieval Iberia: Readings from Christian. Muslim and Jewish Sources, edited by Remie Constable. (Philadelphia, PA: University of Pennsylvania Press, 1997). Written in Latin, they preferred this to anything in Arabic. Southern (1978) comments: "They were fleeing from the embrace of Islam: it is not likely they would turn to Islam to understand what it was they were fleeing from" (25-26). ↑ Richard Fletcher. The Cross and the Crescent: Christianity and Islam from Muhammad to the Reformation. (London & NY: Allen Lane, 2003), 116. ↑ Christopher Hibbert. House of Medici, Its Rise and Its Fall. (NY: Harper Perinniel, 1999), 236. ↑ Alleessandro the Moor. image portraits. Retrieved May 5, 2008. Bittle, Berchman, O.F.M. Cap. A Saint A Day. The Bruce Publishing Company, 1958. Edwards, John. "A Conquistador Society? The Spain Columbus Left." History Today 42 (May 1992). Gairdner, William Henry Temple The Rebuke of Islam, 5th edition. London: United Council for Missionary Education, 1920. This page was last modified on 20 October 2018, at 16:34.